"Therefore, it is agreed that a petition will be submitted to the Constitutional Court to consider dissolving the Thai Raksa Chart Party", it said in a statement. Princess Ubolratana's unprecedented bid to enter frontline politics unravelled within hours, after King Maha Vajiralongkorn decried the entry of a royal into the political fray as "highly inappropriate". Some social media users urged her to serve the people as a member of the royal family, but Ubolratana responded: "I don't want to be in that position anymore". They said the suspension order violates constitutional guarantees of press freedom, adding that the regulators should be especially supportive of media organizations during the election campaign to bring "an atmosphere that is supportive and open to the expression of opinions by the media and the people". The king's word is rarely ignored in Thailand. The party promised to adhere to the King's wishes and removed her as a candidate. The princess was disqualified as a prime ministerial candidate by the Election Commission on Monday, which cited the royal command. The royal family and electoral officials condemned her candidacy nearly immediately after it was announced. The changes were the latest attempt at quashing the influence of Thaksin, whose allied parties have won every national election since 2001 and remain popular with the rural majority for their populist policies such as universal health care. Thaksin and his sister Yingluck - who was overthrown in the 2014 coup - live overseas to avoid convictions they say are politically motivated. Posting on her private Instagram account, the princess wrote: "I am sad that the honest intention to work for the country and us Thais has created a problem that shouldn't happen in this day and age". Ubolratana ended her post with the hashtag #howcomeitsthewayitis. They appear to have assumed that since she lost her formal royal titles in 1972 when she married a foreigner - an American whom she has since divorced - that the strictures against royal involvement in politics would not apply to her. 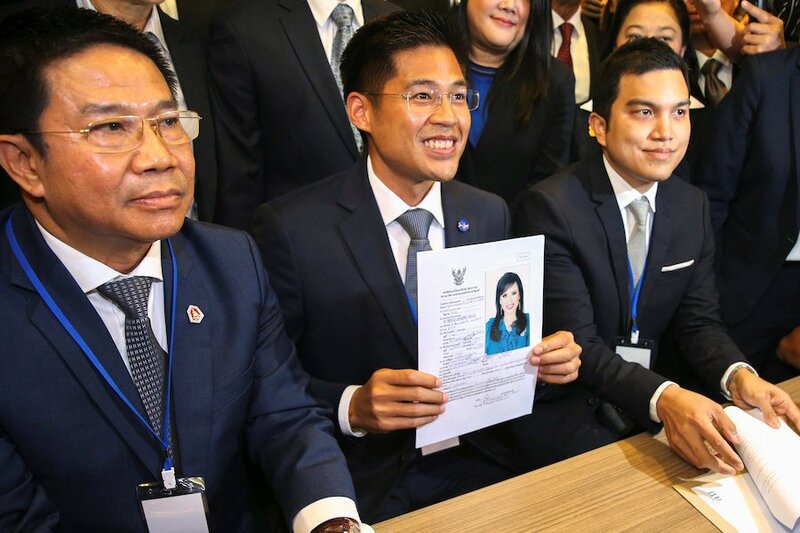 While she said she was exercising her rights as a commoner to stand for premier, the palace statement last week said she is "still a member of the House of Chakri", referring to the name of the dynasty. Thailand's current Prime Minister, Prayuth Chan-ocha, led the 2014 coup and is now expected to be re-elected.